Choose a Burberry rheta cardigan and light blue leggings for your daughter for a fun day out at the playground. As for footwear your child will love red ballet flats for this getup. Suggest that your daughter team a Burberry rheta cardigan from Nordstrom with a navy skirt to get a laid-back yet stylish look. 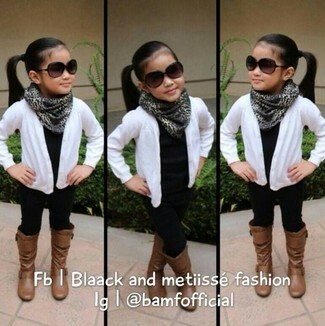 Suggest that your little angel pair a white cardigan with white jeans for a beautiful casual get-up. Brown ballet flats are a savvy choice to complete this getup. 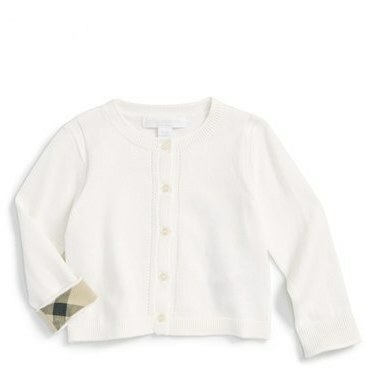 Suggest that your child reach for a Burberry rheta cardigan and black leggings for a fun day out at the playground. Brown boots are a nice choice to complement this ensemble. Choose a Burberry rheta cardigan and light blue denim shorts for your daughter to get a laid-back yet stylish look. 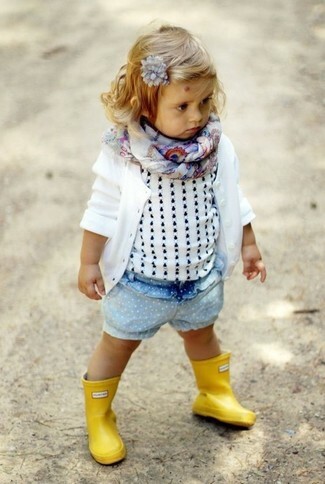 This ensemble is complemented perfectly with yellow rain boots.  Suggest that your darling reach for a Burberry rheta cardigan and white jeans to create a smart casual look. Tobacco uggs are a wonderful choice to round off this style.